The robotic company DREAD is afflicted by a fatal accident. A thunderstruck robot runs out of control. This robot named MAD becomes hyper-intelligent and megalomaniac. With his superior intelligence he gains access to the secret command center of DREAD. The secret command center is located in the top of the SOLEMN KNIGHT ROOK. There is the supercomputer from which all robots worldwide can be updated remotely. MAD wants to sabotage the update and create an army of robots bringing the apocalypse to the humans. You are sent on a mission: Enter the SOLEMN KNIGHT ROOK, push upward level by level to the EYRIE of the rook and crack the RIDDLE OF THE EAGLE before MAD’s sinister plans become true. 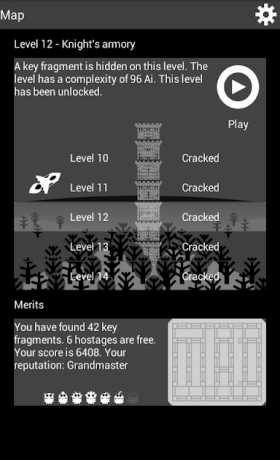 Master the 49 levels of the rook. Along your way collect key fragments and IQ-points. Rescue the seven caged robots. Watch your mental grade growing with every achievement. Find the 42 key fragments of the broken microchip. MAD has stored the access code to the EYRIE on a microchip and broke the microchip into 42 fragments. The one who has all 42 key fragments can open the door to the EYRIE. 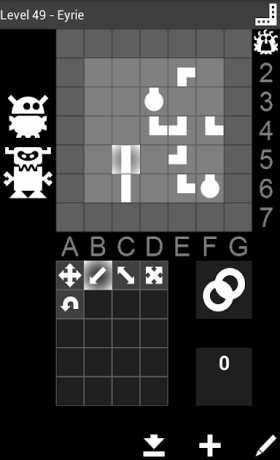 Find the seven caged robots and rescue them. 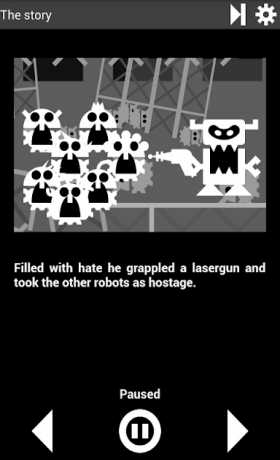 MAD has taken seven robots as hostage provided with explosive charges. The one who rescues all robots can safely open the door to the EYRIE. The one who cracks the RIDDLE OF THE GRANDMASTER earns the seventeenth grade, the grade of a grandmaster, and can enter the EYRIE. The EYRIE contains the RIDDLE OF THE EAGLE. Maybe there is an even higher grade. Find it out.